This apple sauce will make a great gift for your friends or family! And since it is an apple season, you can get beautiful apples from your local growers very easily. Use decorative jars and add a little touch of yourself in adding small elements like a nice dishcloth, tied around the top of the jar or a ribbon with a card. I am sure it will be a well received gift! Using apple corer, remove cores from the apples. Using a vegetable peeler, remove the peel from the apples. Slice apples and coarsely chop. In a large pot, combine the chopped apples, water, lemon juice, sugar and cinnamon. Cover and cook over medium heat until apples are just softened – about 30 minutes. Using a potato masher, blender or food processor fitted with metal blade, coarsely mash or process apple mixture,. Spoon applesauce evenly into prepared jars. Close jars and decorate as you wish. Store tightly sealed jars in the refrigerator for up to 1 week. 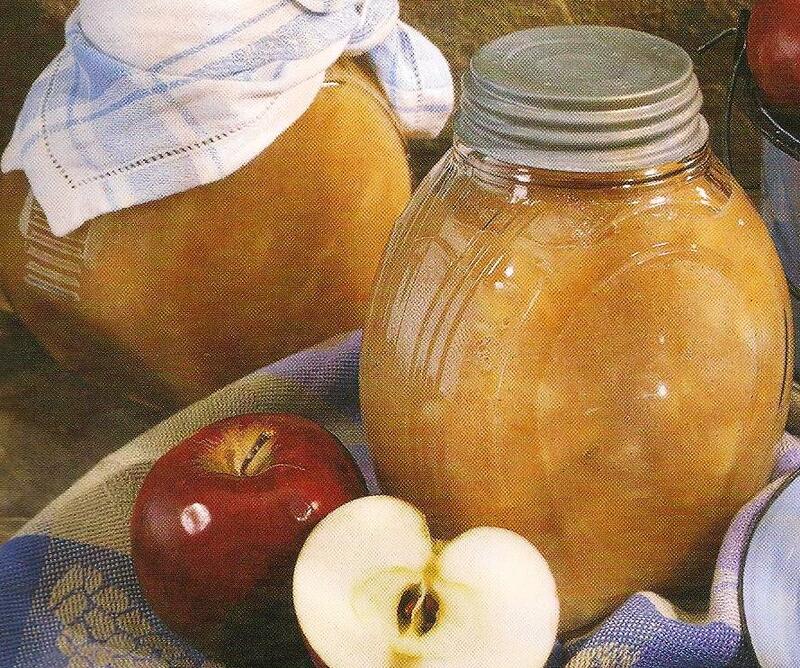 If you want to make this applesauce for later use, use ziplock bags instead of jars and freeze the sauce. When you are ready to fill your jars, take bags from the freezer, defrost the sauce overnight in a refrigerator and fill your jars. Use pears instead of apples for a delicious pear sauce. The best pears to substitute for the apples are Bartlett, Bosc or Anjou.